The Bachelor Australia returned to our small screens last night, kicking off with an audience viewing of 882,000 in the metro region, per OzTAM figures. Ranking as the fifth most watched show for the night, and first for entertainment programs on the night, it was a hot pick for a Wednesday night, following the MasterChef finale on Tuesday. 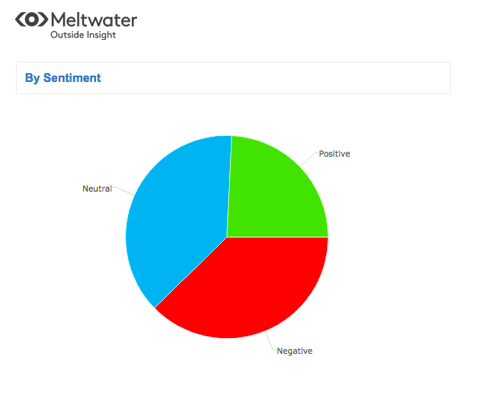 And to celebrate the launch, Meltwater has gathered up some data to look at just how interested and engaged audiences were with the launch episode of The Bachelor, cat fights, ball gowns, roses and all! There wasn’t much chat about #TheBachelorAU in the week leading up to the premiere, but as you can see, there was a huge spike on the night of the premiere, as viewers jumped on board and live-tweeted about all the drama that happened as the new season was unveiled. There was over 1.8 thousand tweets using the #TheBachelorAU hashtag on 27 July, as viewers weighed in the 22 new girls fighting for Richie Strahan’s heart this season. What do Aussies think about Richie Strahan, season four’s newest Bachelor? He won our hearts last year when Sam Frost rejected him, but it seems like most conversations last night was quite negative! While there was a lot of negative conversations, many were not about Richie himself, but mentions of his first meeting with Vintaea, the girl who swore like a sailor and walked out last night! ​There was definitely some great social media conversations happening around the web about the new contestants, but who stood out? As you can see from the graph above, the two girls that really caught the attention of Aussie viewers were the highly personable Keira and Janey. Last year, Heather was a strong frontrunner for Sam Wood’s heart from the sounds of what Aussies were saying on social media — she received the most mentions during the premiere last year. ​And finally, which demographic was jumping in and voicing their opinions around the Bachie premiere? 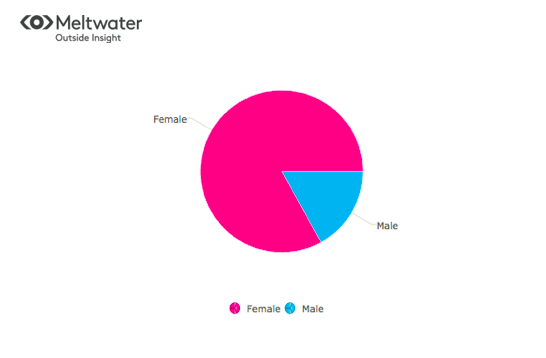 As you can see in the graph above, females dominated the social media conversations!